“That’s Amore!” Is Yoan Moncada Righting The Ship? We see it every sport. A player has tremendous success, becomes a top prospect, and never blossoms into the star an organization had hoped for. What makes a player a bust? Do they not have a Hall of Fame potential? Do they not make a certain amount of All-Star games one would have hoped? Do they not even it make it to the highest level of their given sport? We all have our own definition of the term “bust,” and we’ve all seen numerous players gain this label throughout our lifetime. There are factors that decipher college/semi-professional and professional sports. Many times, physical size and strength play a major role, but there are numerous cases when the difference between college/semi-professional and professional levels come down to the mental aspects of the game. We see it from a young age when children with above-average size/strength fare better than their peers, but the latter usually catch up in the later parts of middle school and into high school. The same can be said with college athletes, and even at the professional ranks. We see those who develop later, and eventually turn into solid professional athletes. I want to go a step further and suggest those with better mental capacities tend to fare better as professional athletes. We see it all the time in baseball. A rookie pitcher or position player has a great first season, and then they falter in their “sophomore slump.” What causes this? Many times it’s a matter or adjustment. Hitters have better scouting reports on pitchers, and they make the necessary adjustments, and the same can be said for position players. Better-developed scouting reports are available on hitters, showing their tendencies, and pitchers are able to pitch each at-bat to the tendencies of the given batter. The reciprocation is needed for the pitcher, or hitter, to take the next step in their progress. In my eyes, this comes down to mental capacity. Does the pitcher/hitter have the ability to make the necessary adjustments to continue being successful, or to turn the page on the adjustments that other pitchers/hitters have made to their tendencies? This week, I want to focus on Yoan Moncada. He was arguably one of the top prospects in Major League Baseball, and his early seasons have yet to produce the numbers we would expect from a top prospect. However, he has gotten off to a scorching start to the 2019 season, and I want to look at what adjustments he’s made compared to previous seasons. This week, I bring you “That’s Amore!” Is Yoan Moncada Righting The Ship? Entering the 2019 season, Moncada has slashed .225/.301/.358 with 25 home runs, 84 RBI, and 303 strikeouts (33.6%) in 901 at-bats over parts of three seasons. Last season, his 217 strikeouts lead the Major Leagues. Entering Sunday, Moncada has slashed .379/.438/.724 with two home runs, 10 RBI, and only six strikeouts (20.6%) in 29 at-bats. We’ve seen him hit line drivers with authority, and he’s had success against both righties and lefties slashing .333/.407/.667 and .600/.600/1.000 respectively. What’s aided Moncada in starting the 2019 season like the top prospect he once was? Looking at the above charts, we can immediately see the decrease in strikeout percentage. Again, Moncada has always had a high number of strikeouts, and this was apparent throughout his time in the minor leagues as he owned a career K% of 30.2%. During the 2018 season, Moncada lead all of Major League Baseball with 217 strikeouts finishing with at 33.4%. This season, a main factor in his early success has been a decline in his strikeout percentage of nearly 15%. It is extremely difficult to be successful at the Major League level when a player strikes out, and nearly impossible to continue any success when having a high strikeout percentage. If we look at a player such as Chris Davis, this is easy to see. Including the 2015 season, where he hit his second-best number of 47 home runs, he had a strikeout percentage of 36.3%. Since, he’s never been below 38% striking out at a clip of 38.6%, 42.7%, 40.8%, and 57.8%. It’s easy to see why he’s been unsuccessful since 2015 and 2016, and hasn’t been fantasy relevant since 2016. Looking deeper into his stats, Moncada’s batted ball percentage has seen increases in FB%, Oppo%, and Med% while seeing a decrease in GB to 26.1%. If a player wants to be successful, he absolutely needs to keep the ball off the ground and use the opposite part of the field. Early into the 2019 season, he’s done a phenomenal job keeping hits level, keeping the ball off the ground, and increasing his Oppo% by 4.6%. He’s simply not trying to do too much, and taking what the pitcher gives him allowing him to hit the ball the other way. This is the key for any hitter to be successful. One of the points I want to make is Moncada’s contact percentages. He’s seen an uptick of 7.5% of swings at pitches inside the zone. This plays a big role in a player’s ability to make contact. By doing so, Moncada’s Z-Contact% has gone up 7.7% since 2018, and his overall Contact% has improved by nearly 12%. The ability to see pitches inside the strike zone, and layoff pitches outside the zone has bettered his SwStr% 3.9%. There’s a lot of positive trend in his Count/Balls-Strikes as well. Looking at Moncada’s hitter’s counts (1-0 or better), he’s slashed .500/.437/.500. He’s simply getting himself in hitter’s counts, and he’s making the most of each opportunity. Looking at Moncada’s hot start as a whole, he’s doing a number of things better than in years past. I give a majority of his success to the fact that he’s cut down on striking out. Again, it’s extremely difficult to be successful when striking out in over a quarter of your at-bats at the Major League level. He’s done a tremendous job at using the opposite part of the field, and has kept his Soft% at a career-low while increasing his Med%. Add in the facts he’s at a career-best in SwStrk% and continually getting himself into a hitter’s count, and there’s no doubt we could be everything finally clicking for Moncada. At 23 years-old, Moncada is very young to be headed into the veteran realm. At 23, we see numerous players getting their first call to the Major Leagues. 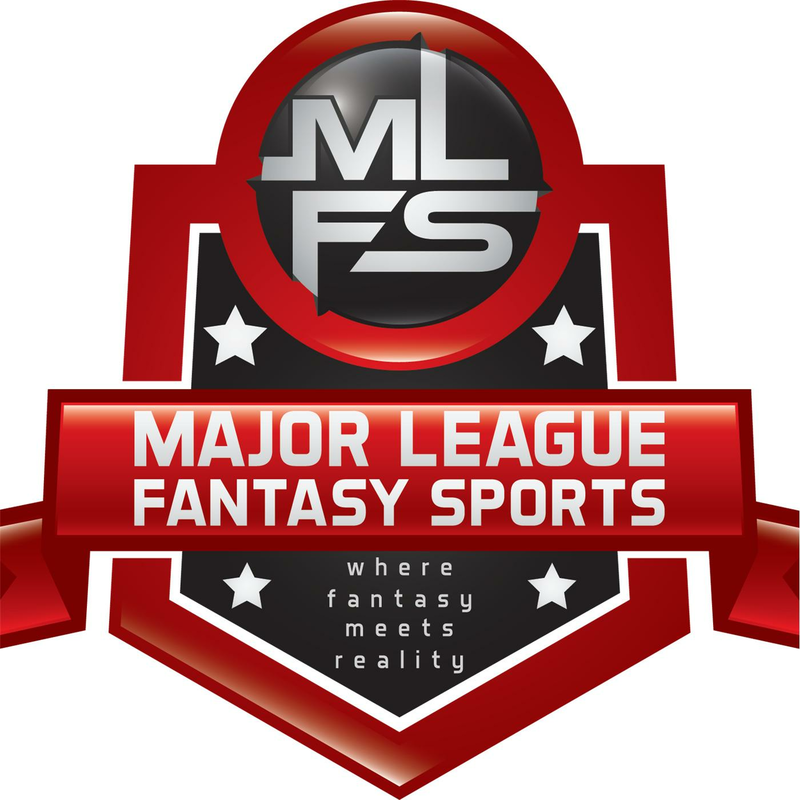 Major League Fantasy Baseball Radio Show: Join host Cole Freel, and Kyle Amore live on Thursday April 4th, 2019 from 7:30-9pm EST for episode #149 of Major League Fantasy Baseball Radio. We are a live broadcast that will take callers at 323-870-4395. Press 1 to speak with the host. You can listen live on blogtalk, majorleaguefantasysports.com, or download the podcast on I-Tunes or any Android podcast app. Cole and Kyle will discuss the latest happenings in the world of MLB and fantasy. They will take a look back on the previous few days and a preview of the coming weekend. Including spot starts, bullpens, offense, and minor league players. Major League Fantasy Baseball Radio Show: Join host Brian Roach, Jr, and Cole Freel live on Sunday April 7th, 2019 from 8pm-9:30pm EST for episode #150 of Major League Fantasy Baseball Radio. We are a live broadcast that will take callers at 323-870-4395. Press 1 to speak with the host. You can listen live on blogtalk, majorleaguefantasysports.com, or download the podcast on I-Tunes or any Android podcast app. We will discuss spot starters for the coming week, plus a weekend update, and look ahead to next week. Our guest this week is Bryan Luhrs. Bryan has been a writer with majorleaguefantasysports.com for 6 years, and is the owner of Real Deal Dynasty Sports.